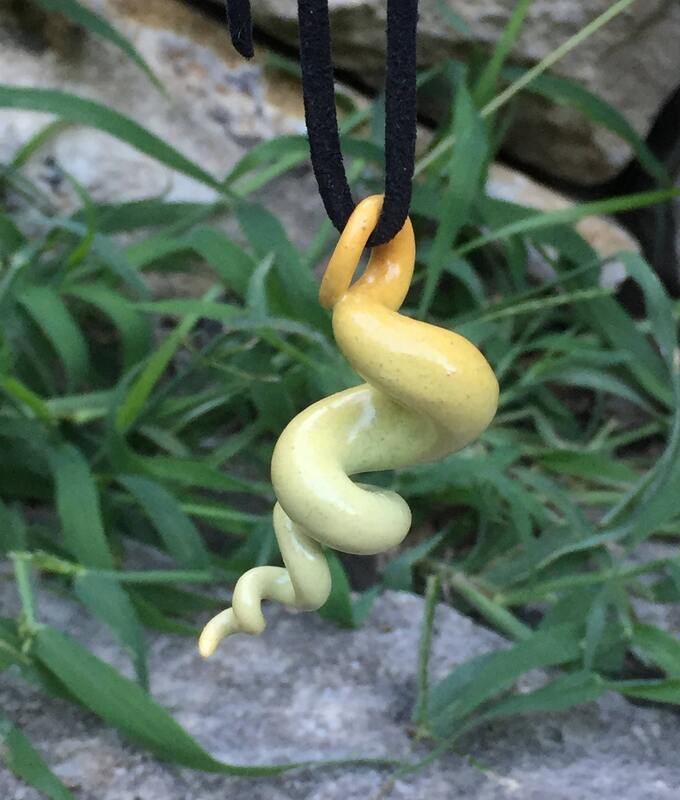 This is another doodle pendant in a toasted orange/yellow glaze. 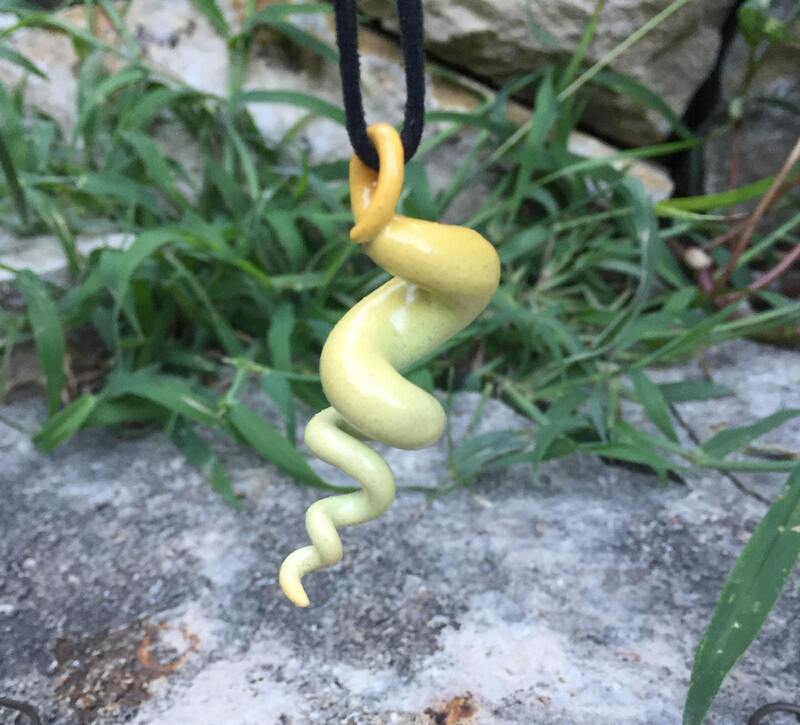 I've been creating these pendants for quite a few years now, and this newest batch are made of porcelain instead of earthenware. 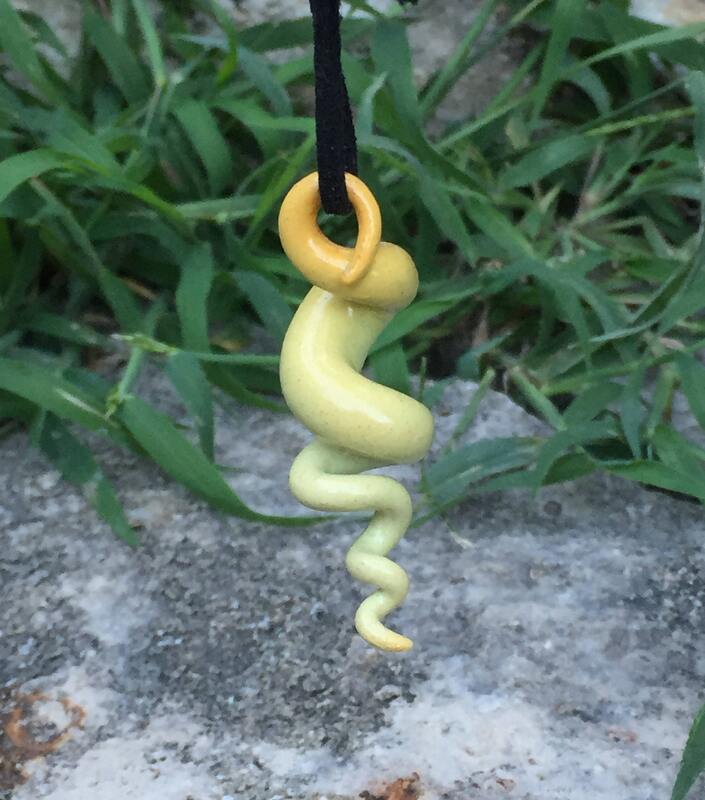 These squiggles are all individually hand formed without any molds, meaning each is a unique creation. 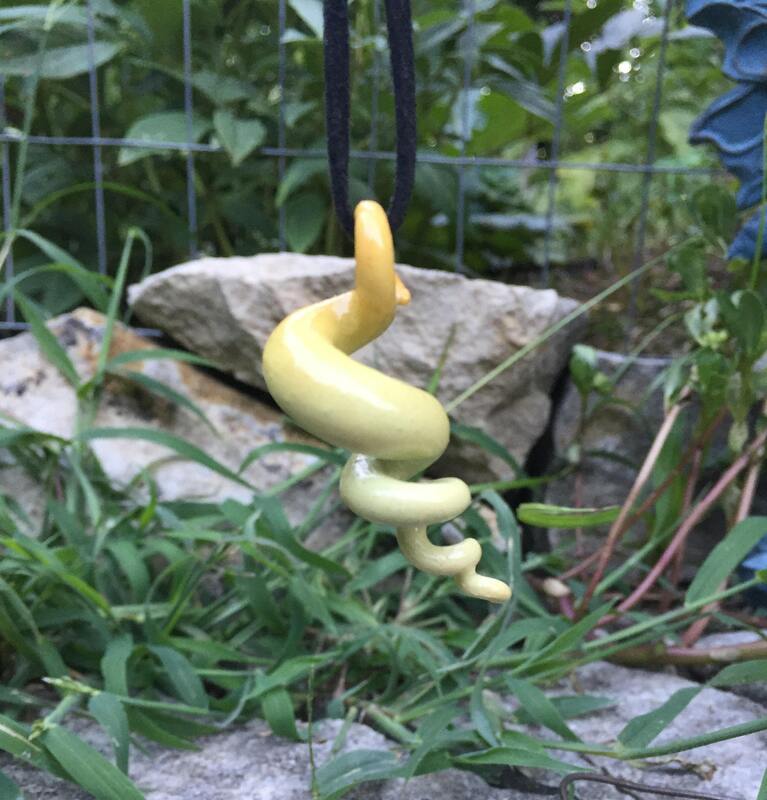 This piece is hand built out of porcelain, covered with a satin toasted orange and yellow glaze (with hints of green), with a small unglazed portion underneath the top side of the loop where the cord fits through. It is electric fired to 2170 degrees Fahrenheit. 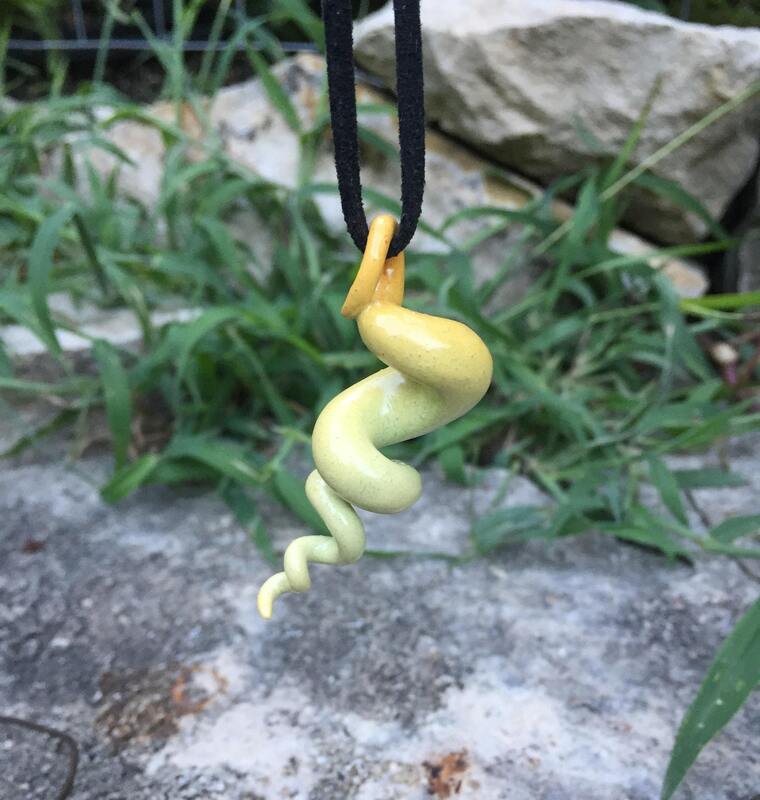 This piece measures approximately 2 inches tall, 1.25 inches wide, and .5 inches deep. 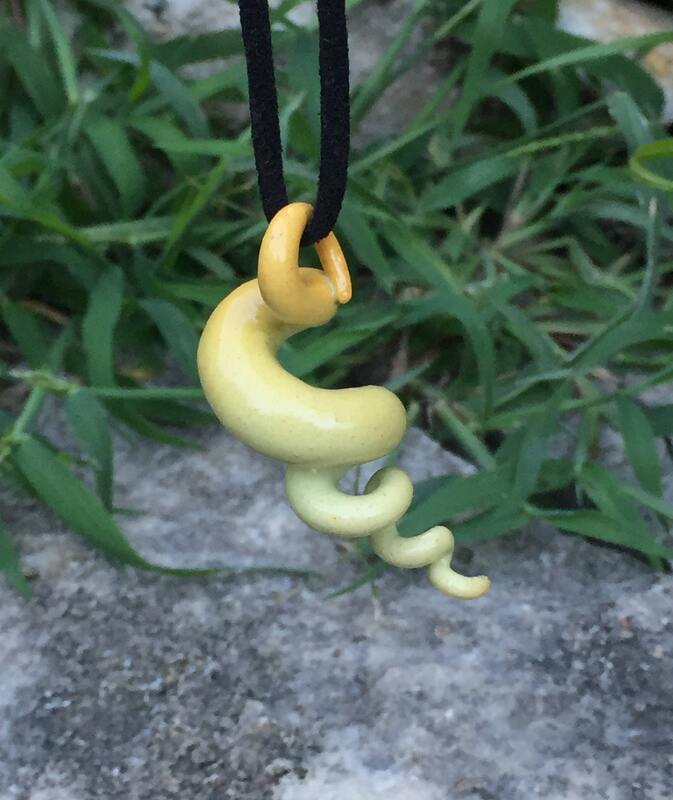 By default the pendant comes with a soft 18" faux suede cord with a lobster clasp. 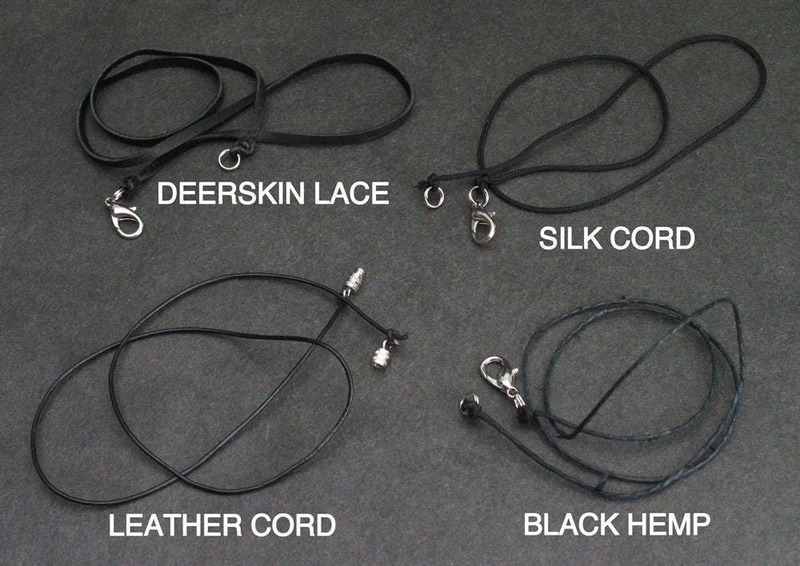 Leather cord, silk cord, black or natural hemp, barrel clasps, or no cord/clasp at all are available options. Let me know if you would prefer an alternative configuration or a longer cord (20", 22", 24", 26") in the comments to the seller.